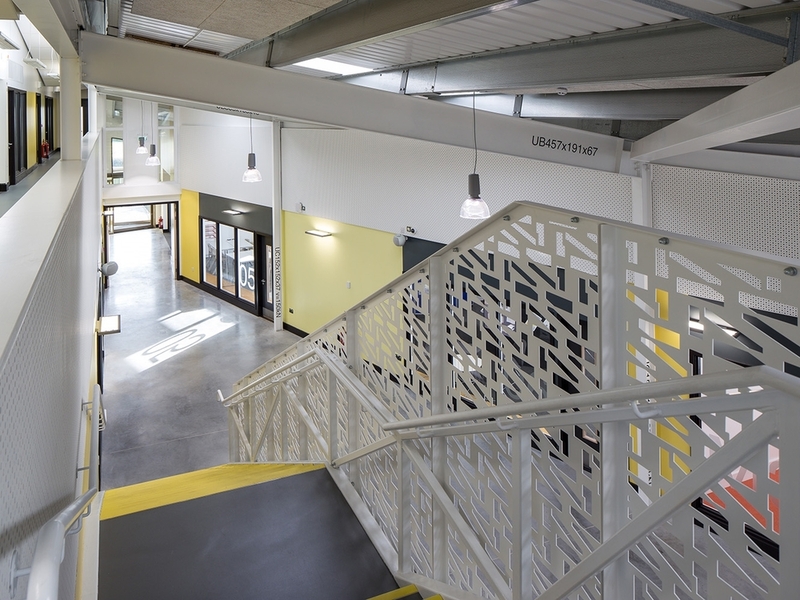 Atrium Studio School is part of the South Dartmoor Academy Trust, located within the Dartmoor National Park. The school focuses on students who are interested in pursuing a career in the built environment. 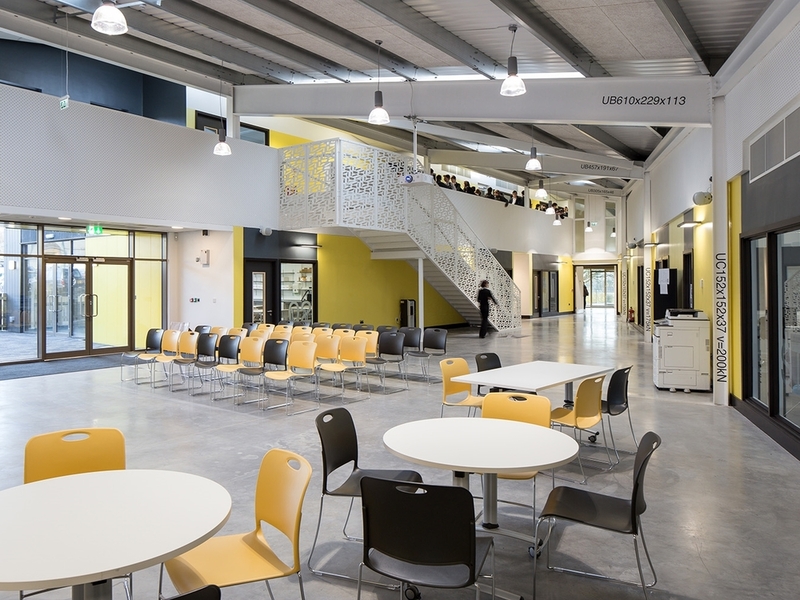 Set within a restricted triangular site of mature trees and bounding residential plots, teaching spaces are arranged in three blocks around the site perimeter with a flexible atrium space set between, bringing formal and informal programmes together. An expressive roof rises from the residential boundary to higher volumes defining a campus square. 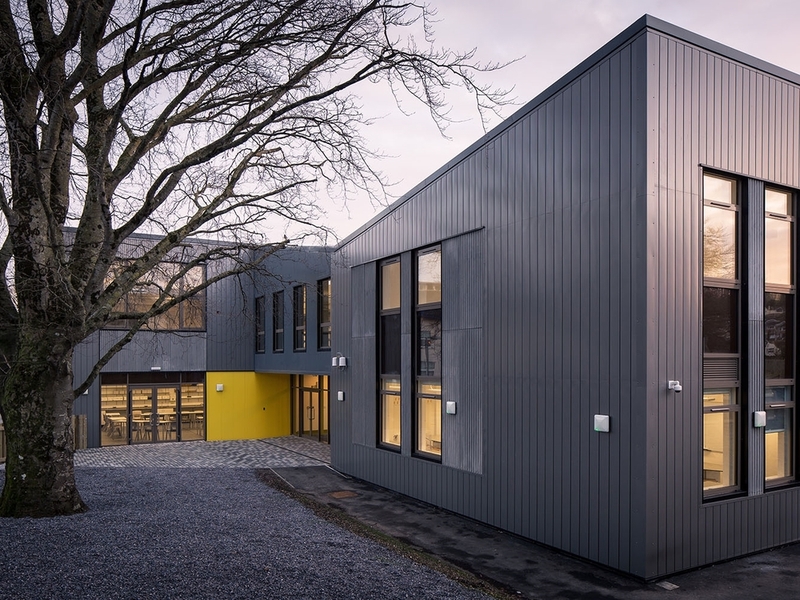 The roof forms are used the break down the volume on this sensitive site and provide rhythm and character to the building inside and out, within an extremely tight budget. The main entrance is sculpted and cantilevered, creating a dynamic composition set at the narrow end of the site, closest to the access road. Mechanical systems and structures have been exposed and graphically labeled to support the school’s specialism in construction. 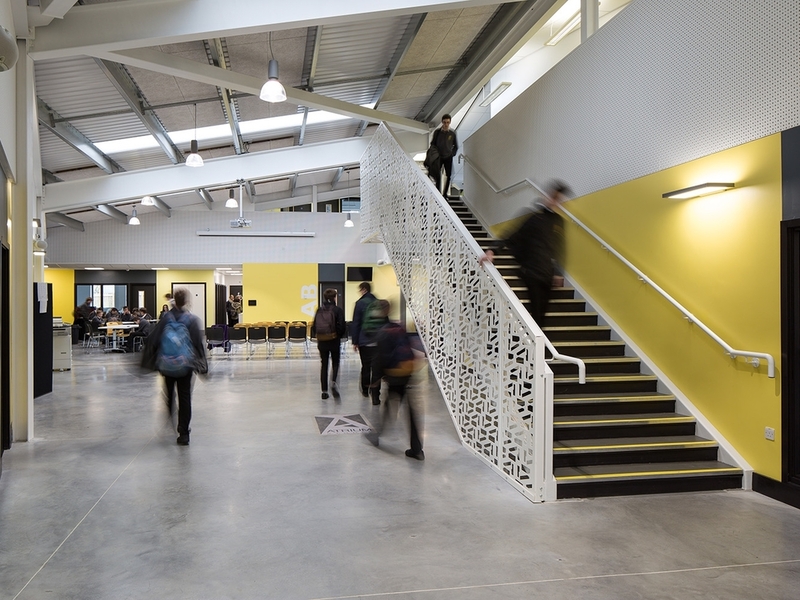 This is balanced by splashes of bright colour and light airy spaces while the plan of the school forms the pattern to the stair balustrade.